The council’s notices are causing Islanders to get confused and irritated after trying to pay for the new £1 overnight parking charge. Here’s why you can keep hold of your £1 coins … for the moment. The signs which explicitly state, “This Notice will come into effect from 06 April 2019”, have left many Islanders confused and irritated. OnTheWight have seen many posts on social media since 6th April made by Islanders frustrated by the ticket machines not accepting £1 payment for post-6pm parking. Last week Freshwater resident, Chris Jarman, got in touch after he’d tried to pay for post-6pm parking in Yarmouth. 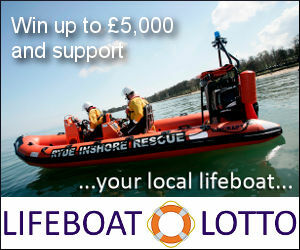 “Notice states £1 after 18:00 from 6 April 2019. It was 18:45. “Went to parking meter. Put in £1. Press green button for ticket – display shows “Insufficient money” and refused to provide ticket. If you are planning to park in any of the car parks or areas set out in our recent article, put your £1 coins away for the moment. 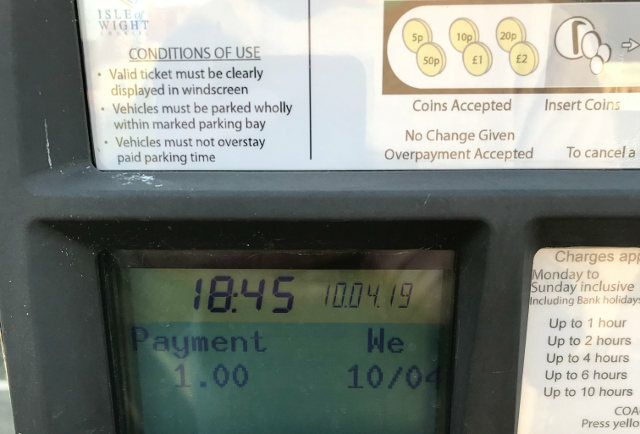 3 Comments on "Stop trying to pay the £1 overnight parking fee"
Yet another council blunder… The sensible route would be to update the machines first, then put a notice up, not the other way round. How difficult is that ? So how will we know when the charge is introduced? Or do we wait to get a ticket first? The IWC say they will make announcements nearer the time.